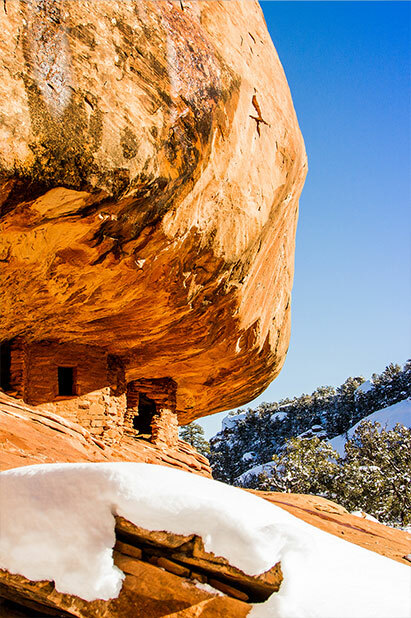 Boldly protected by President Obama as a new National Monument, Bears Ears’ million plus acres of weathered sandstone, deep canyons, forests, ancient cliff dwellings and sacred rock art offer world-class opportunities for exploration, solitude and recreation. The sandstone wall below me plunges 500 feet to the canyon bottom. To my right, I see a “moki step” pecked in the rock 800 years before. But the move to get my toe on that foothold is a legitimate boulder problem with no margin for error. “I should have gone climbing,” I mutter to myself. Even on the wild, sandy towers of the area, I would have at least had a rope. Here, such safety devices are illegal; no climbing equipment can be used to get to archaeological sites. Somehow, I convince myself I can reverse this move safely. Smearing my sticky rubber on a less-vertical portion of the wall, I execute a very awkward mantle, just barely reaching the moki step with my right foot. Sixty seconds later, I’m safely standing on a 30-foot-wide ledge, and I whisper a quiet message to the spirits of the place, expressing my intention to visit with respect. I admire a row of ancient structures arrayed across the ledge in front of me. Pottery fragments litter the sandstone porch. And the view . . . those ancient climbers sure picked a picturesque spot, with the junction of three different red-rock canyons out their front door. A quiet stream trickles in the canyon bottom, passing a 400 foot high unclimbed spire. After softly exploring the ledge, leaving everything in its place, I sit down in front of the largest structure, feeling the warmth of the sun-heated sandstone contrast with the cool November air. This is why I do what I do and live where I live. 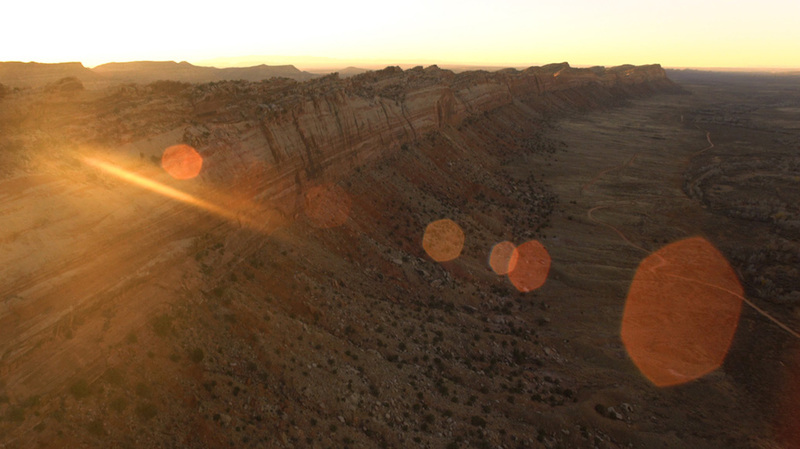 In 2012, my wife and I moved to Bluff, Utah – population 250. I was burned out from my high-stress job in corporate communications. I was also tired of the long drive from Salt Lake City to climb at Indian Creek, put up new routes in the remote canyons, or explore the archaeology of Cedar Mesa. Work colleagues shook their heads as I walked away from a six-figure salary. My family thought I was crazy to move my city-girl wife to the middle of nowhere. Climbing friends just laughed at the prospect of having to make a 2.5 hour round trip to Colorado just to get full strength beer. Yes, we miss friends, climbing partners, and the comforts of the city. But, we’ve been richly rewarded by our decision. The sense of community in a small town is very powerful. Life is far less complicated. And, you sure can’t beat the amazing public lands in our back yard. From my desert-rat climber perspective, the Bears Ears landscape of southeast Utah has everything I could want. Who wouldn’t want their “home crag” to be the perfection of Indian Creek? Plus, there’s plenty of adventure to be had on desert classics like Texas Tower and the spires in Valley of the Gods. I have a life-long list of potential first ascents to be done to scratch my itch for rowdy climbing and unclimbed summits. And, perhaps most intriguing is the deep connection I feel to the ancient climbers of the area who built dwellings high on the cliffs and used moki steps to ascend sheer walls. Not long after arriving in the Four Corners area, I was drafted to become the executive director of a small non-profit that provides stewardship for the public lands in San Juan County, with a particular focus on Cedar Mesa. Now, I spend about every waking hour fighting grave robbers and looters, organizing service projects, working with the BLM to improve management, and educating hikers about how to visit archaeological sites with respect. I’m learning all about public lands policy and bureaucratic process so we can do practical things like protect access for recreation and require more responsible oil and gas development. 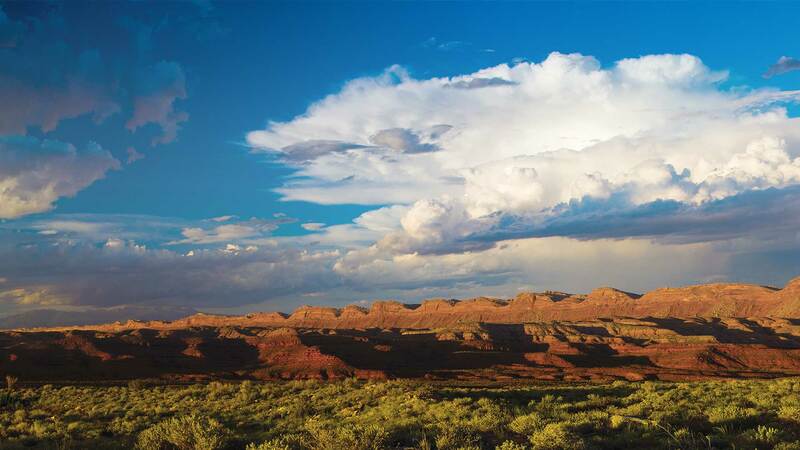 On top of all that, we’re working collaboratively with Native American leaders, local people, and conservationists from around the nation on a campaign to protect Cedar Mesa and the larger Bears Ears region. In the next two years, we’re aiming for a protective designation, such as a National Conservation Area or even a National Monument. The Bears Ears landscape stands as a place all Americans can support preserving for future generations, but climbers should take a particular interest in this effort. Our voices are needed to help preserve a proud climbing heritage started thousands of years ago by people who made a life among these sandstone walls, and must have loved this landscape as much as we do today. Josh Ewing is Executive Director of Friends of Cedar Mesa. 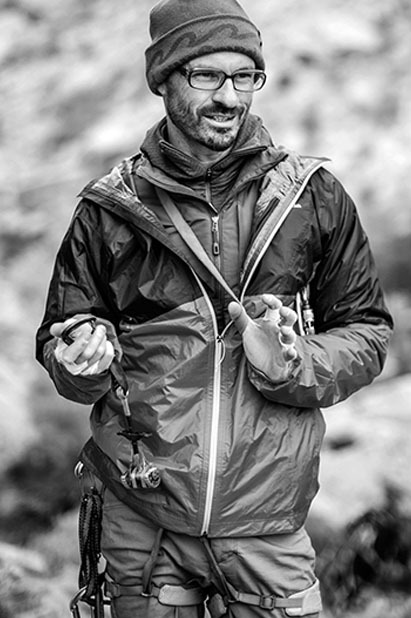 His obsessions include climbing, archaeology, and now, landscape photography. A local Navajo woman and Bears Ears supporter cooked vats of mutton stew, made piles of fry bread, and we all listened to stories at the Mexican Water Chapter House and heard again why the Bears Ears landscape is so important to the people. We listened to stories about Headman Manuelito. He was born at the “Bears Ears” that sit atop the deep and convoluted red rock canyons above the Colorado River. 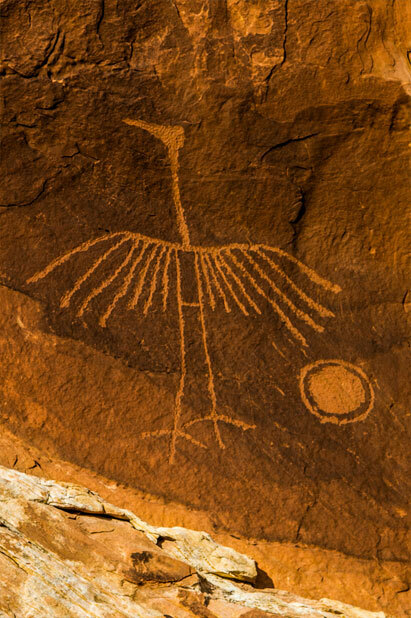 We know these places as Dark Canyon, White Canyon, and Cedar Mesa today, but Native people have been hunting, gathering and occupying these vast, wild landscapes for millennia. Diné call this area "Náhonidzó," or “the escaping place.” Manuelito guided hundreds of Navajo into this maze-like refuge to save them from the Long Walk of 1864, when Navajos were forced by the U.S. army to march from Arizona and Utah into a new reservation in New Mexico. Those who stayed in hiding in these canyons were spared the trauma and death of the Long Walk. Diné were allowed to return home in 1868 and Utah Navajo People joined them to re-occupy what is now the Navajo reservation. Even today raids continue as pothunters remove Native American cultural objects from these public lands despite legal prohibitions and requests from Tribes that these sites be left undisturbed. The looting of Ancestral Puebloan ruins and gravesites goes on because there is little monitoring or enforcement across this large landscape. The Antiquities Act was designed to set aside important heritage sites by presidential proclamation like the sacred landscapes in southeastern Utah. Tribes are asking that Bears Ears be protected whether it be done legislatively through Congress or through the use of the President’s pen. The important thing is that these treasures, as well as plants and wildlife, be secured for future generations. After finishing his fry bread, Joe Tree told us a story about a sacred site. He grew up in Westwater, Utah, just twenty miles east of the Bears Ears buttes. At the age of seven he and his friends used to climb into the dwellings. There were two buildings, perfectly intact despite their age each with multiple chambers. The ancient pinyon ladders still leaned against the canyon walls. Joe recalls climbing up and into the low entrance with the other kids and marveling at the treasures inside. The floors he remembered were buried in ten inches of wheat chaff that had blown in from the agricultural fields. In the second chamber of one dwelling, Joe found small ceramic jars filled with arrowheads of different shapes and sizes. The next room beyond held large pottery vases filled to the top with different colors of corn kernels. One pot held yellow corn, another blue, and two more were filled with indian (multi-color) corn. Even as a child, Joe was struck by the power of the objects that surrounded him and by the ancient ones whose spirits were still alive in this place. In 1968, Joe Tree returned home from Vietnam and visited the Moki ruins where he played as a child. He found the walls had been knocked down and lay in a pile at the bottom of the cliff. Every sacred object he remembers admiring as a child had been stolen. Neighbors told Joe that the white people did it. They came in a truck late at night from across the wash and stole everything. They even knew who it was, but could do nothing. Willie Grayeyes, Chairman, Board of Trustees, Utah Diné Bikéyah.